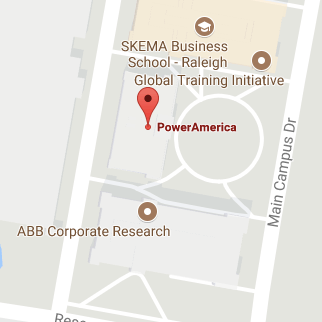 The PowerAmerica Institute at N.C. State University was founded in 2015 and is one of 14 Manufacturing US Institutes nationwide. Each institute is narrowly focused on growing a sector of advanced manufacturing, thus making the U.S. better poised to complete economically on a global scale. PowerAmerica is backed by $70 million in funding from the Department of energy, with matching funds from industry partners and the State of North Carolina. Our mission is to save energy and create U.S. manufacturing jobs by accelerating the development and large-scale adoption of wide bandgap semiconductor technology made with silicon carbide and gallium nitride in power electronics systems.